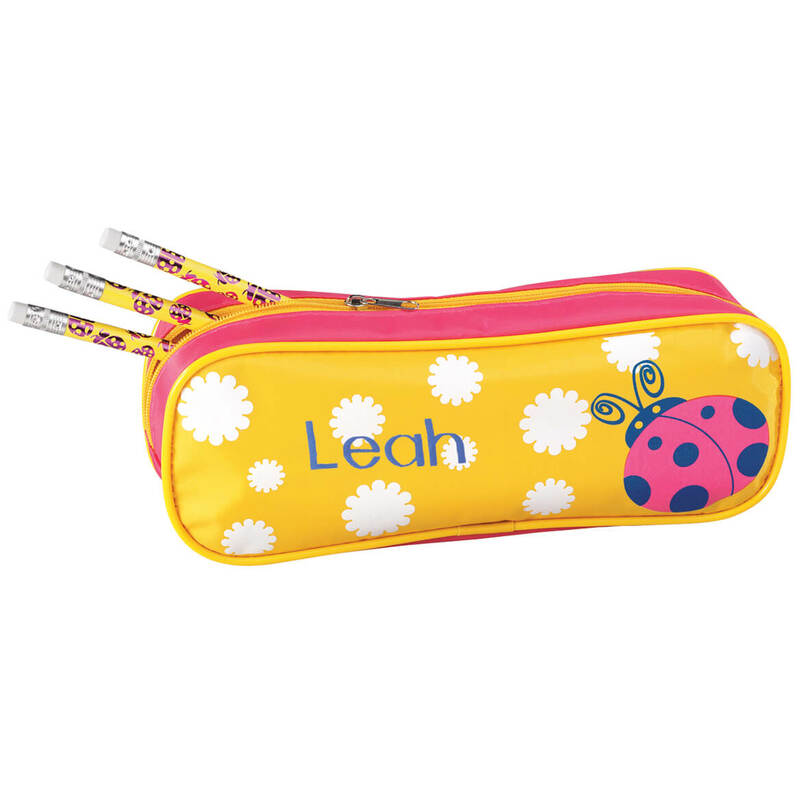 Grand-daughter will love the personalized pencil holder and pencils. She will be showing these off to her friends! I've used it for school to the office to traveling... There's so many ways it cud b used especially since the size allows for organizing many items. The case is cute but very poorly made. It arrived with a broken zipper and I expect the name is going to peel off. The personalization was correct and the pencils were nice. Unique and fun for our granddaughter. It is always special to receive personalized things! I have purchased one of these for each of my other 8 grandchildren and now I'm catching up with the two that were born in March. These are for my great-granddaughter. I like to personalize gifts for her. My two granddaughters love this kind of thing and it means a lot to them to have their names on them. Love personalized gifts for my students. Good company; I have made previous purchases and been always pleased with quality. For my nieces who are in school. My daughter loves fun pencils; I'm betting she'll love this! Kids love to see their names on stuff and they need pencils for school. Marin starts pre-school this month and I knew she would love it. Did a lot of price searching and found this to be the best deal as it also included pencil's!